This sprawling aster (formerly classified as Aster divaricatus) traditionally blooms in late summer to early fall with numerous clusters of small white flowers. It is great for woodland gardens, where it grows vigorously and aggressively, even in dry shade. Although native throughout much of the Mid-Atlantic Region, it is infrequent to rare in the Coastal Plain and absent in southeastern Virginia. 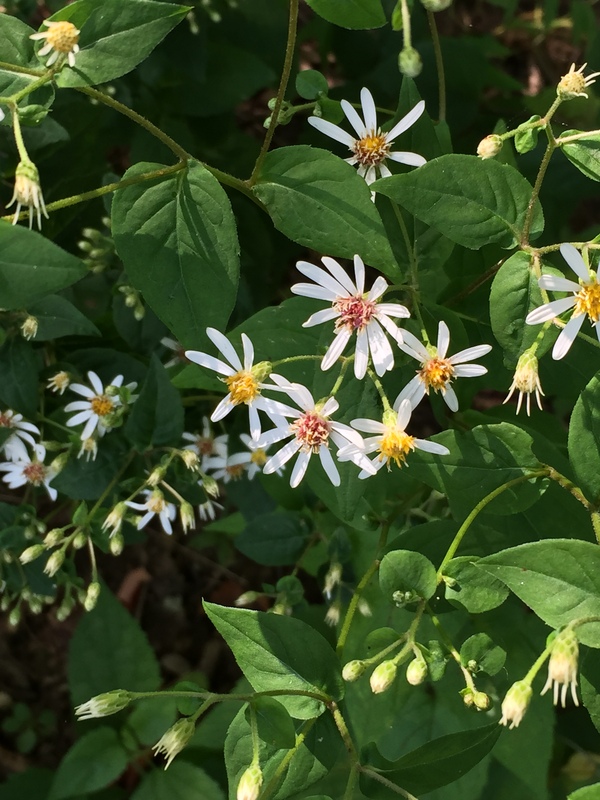 This entry was posted in MG in the Garden, Tried and True Native Plant Selections for the Mid-Atlantic and tagged Eurybia divaricata, Ground cover, Tried and True Native Plant Selections for the Mid-Atlantic, White Wood Aster. Bookmark the permalink.